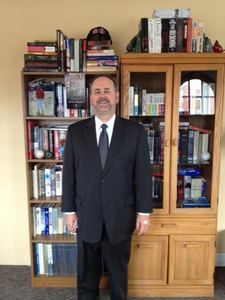 Eric Rhein earned a Bachelor of Science in Law Enforcement Administration from Western Illinois University, with high honors, and a law degree from Southern Methodist University, where he was an editor of the Journal of Air Law and Commerce. He has practiced criminal and constitutional law in Belleville, Illinois since 1983. He was an assistant prosecutor in St. Clair County for 24 years, and an Assistant Public Defender for six years. He practiced law for the first six years of his career with (later Appellate Court Justice) Clyde Kuehn.